Moon Princess was designed by Shay Pendray. 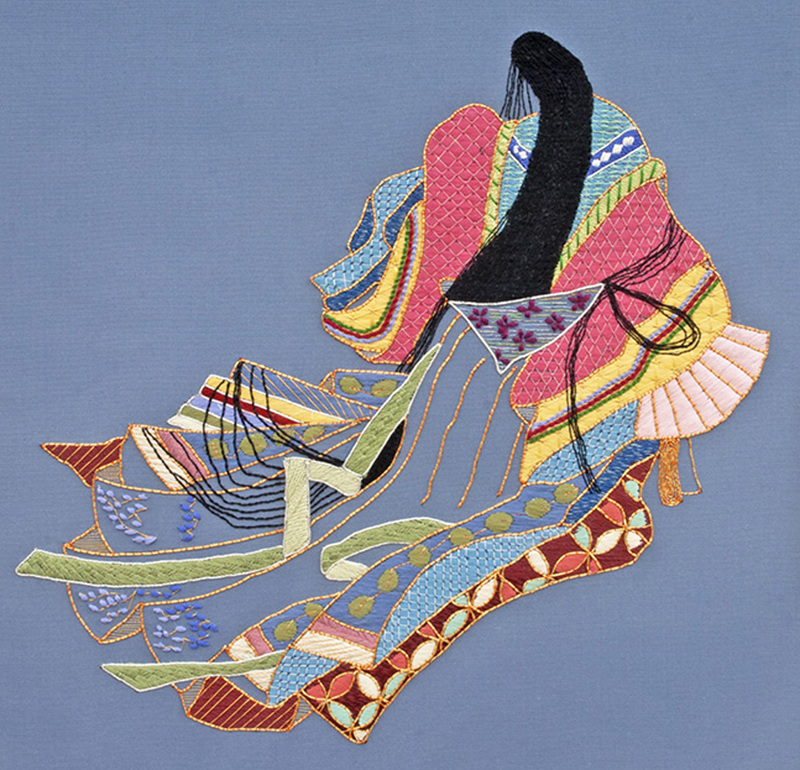 This piece is done in traditional Japanese Embroidery stitches and threads. The stitches and colors were chosen by Shay using the threads that I had with a few additional colors. I did all the stitching. I first chose the blue silk fabric, with blue not being my favorite color because I had a blue bedroom. Then I decided on the Moon Princess design after I heard several in class talk about doing the princess. This piece has been stitched by many over the years.